As the capital city of Spain, seat of government, and residence of the Spanish monarch, Madrid is the political, economic and cultural centre of Spain. 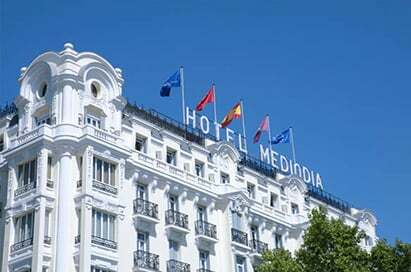 It is a bustling and energetic metropolis that buzzes in a way that only a capital can, and is the perfect place to practice Spanish language and get a taste of that special "madrileño" spirit. Madrid offers attractions for both culture and amusement. The city is full of great monuments, like the Royal Palace and Plaza Mayor, and it’s art museums; Del Prado, Reina Sofia or Thyssen are world renowned. 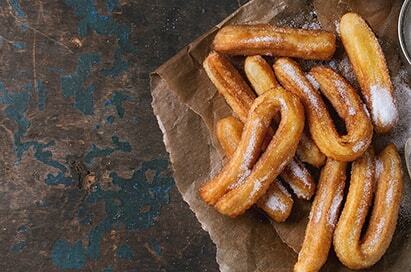 Football is a national passion and here you can tour Bernabeu stadium home of Real Madrid before enjoying the atmosphere of the city eating tapas and enjoying flamenco. Landlocked in the centre of the Iberian peninsular the city is surrounded by enchanting historical gems like Toledo and Segovia. In short it is easy to entertain and inspire your students in this rich European capital. 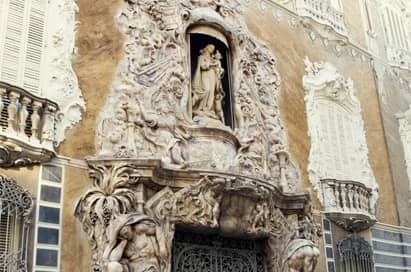 The official residence of Spain’s royal family, this 3,000 room palace, commissioned by Philip V. is truly awe-inspiring. Highlights of this majestic palace include some fine 17th century sculptures of commissioned by Velazquez and the extravagantly ornate private apartments of Charles III. School groups can benefit from a reduced admission charge provided they have identification in the form of a signed letter on headed school/college paper. Discover the emblematic Bernabeu Stadium, home of the Real Madrid Football Club, from the VIP box to the changing rooms, from the pitch to the Trophy Exhibition. The Exhibition of the Best Trophies offers a full tour of the legend of Real Madrid. All the European Cups are on show, as well as the rest of the Club's trophies and the most important matches of its history in a modern audio-visual room. Visit the House where Lope Felix de Vega (1562-1635) lived during the last 25 years of his life. The House pays tribute to the Golden Age comedy playwright and poet. Declared to be an Historic-Artisitc Monument in 1935, the House is an example of a restored Madrid family home from the end of the 16th century, with large scale alterations from the 17th century. Miguel de Cervantes was born in this house in 1547.The various rooms contain an interesting collection of paintings, carvings, furniture and decorative articles of Cervantes’ time, as well as an extensive collection of old and new editions of the author’s writings. We maintain relationships with many language schools in the Madrid area and they can tailor make your lesson programme according to your requirements. Please ask for more details. We have contacts with different tablados in Madrid who offer shows all year round. Prices are available for either a drink & a show or a diner & a show. Please contact us for more details. Las Ventas is one of the most impressive buildings in Madrid and with a 23,000-seat capacity, it is the largest arena in Spain. If you’re interested in this deeply-rooted Spanish tradition a guided tour of the bullring will give you the history and legend of bullfighting and an understand of what fighting a bull in the ring is like. 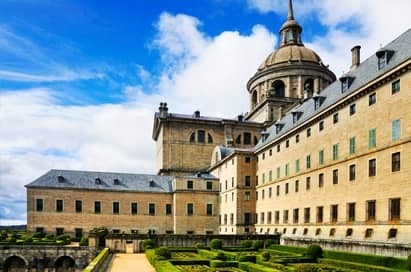 The town of El Escorial is home to the Monastery San Lorenzo el Real built during the period of King Philip II. The monastery is the Pantheon of the Spanish Kings as well as a Palace, Monastery and Church. The Valley of the Fallen is an impressive memorial to those who died during the Spanish Civil War. The Bernabeu and the Las Ventas tour were absolutely fantastic and well-loved by our students! 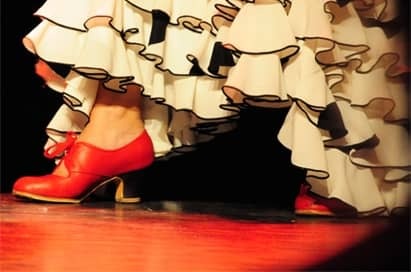 The flamenco show was a real highlight and I would certainly recommend and do that again. The pupils absolutely loved it!!... I can't tell you how much I sincerely appreciate all your help, advice and the amazing service you gave us. The trip was a complete success. Everything that could have been done was done - the service was excellent from both the Tour Consultant and the Tour Planner.